But it was even better for frying potatoes and pork chops – a favorite dinner when I was growing up. My mother always fried potatoes in bacon fat that she accumulated in a mason jar whenever my father had bacon for breakfast. Every time I remember those potatoes I want a griddle…. Maybe now is the time. Here is a guest post that gives some great tips. I think I would opt for an electric griddle – check the reviews. A griddle is a great cooking appliance to have in your kitchen. Griddles are flat cooking surfaces with a heat source underneath. You can heat it over a burner, or use the electric option. 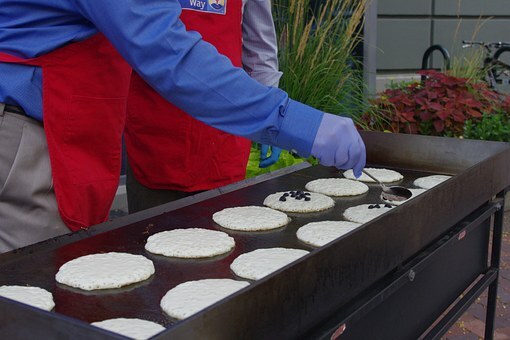 Griddles are good when cooking for a crowd since they have a large surface area. You can also easily flip food since they have no sides and the open space does not trap any moisture. Most people reserve cooking on a griddle for camping. However, you can now replace the several pots and pans in your kitchen with a griddle. You do not require any previous experience to cook on a griddle. Nevertheless, here are three tips to using a griddle for the first time. Start Simple. If you are using a griddle for the first time, you will want to begin with easy to make meals. Pancakes are an excellent place to start. Wipe a bit of cooking oil onto your pancake griddle and preheat the griddle to 350 degrees. Pour a drop of water on the griddle to test the heat. 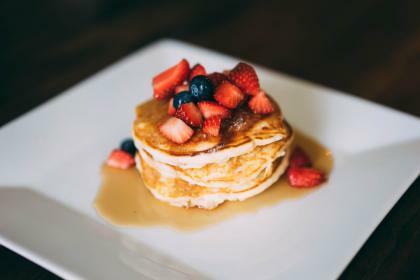 If the water evaporates quickly, lower the temperature to avoid scorching your pancakes. Once the griddle pan is ready, pour the batter onto the surface and flip your pancakes when they begin to bubble. Combine flavors. A griddle allows you to cook different foods at once. This feature works well for breakfast or goulash-style dishes at dinner. For a delicious, easy-to-make breakfast, fry some bacon on your pancake griddle first, wipe the surface with paper towels and then make scrambled eggs or pancakes. The entire meal will take on the flavor of the bacon when you pour other foods onto the thin coat of bacon drippings left behind. Be careful when cooking over-easy eggs on a cast-iron griddle since it is hard to keep the York intact when the egg slides across the surface. Use Foil for Thicker Food. Wrap thicker food such as ham and steaks in foil to ensure that they are cooked thoroughly. Surround such food with vegetables including fresh corn and flip them every few minutes to make sure you cook the centre. You can also cook Pizza on a propane griddle if you wrap it in foil. Do not forget to try making tin-foil dinners on a griddle. 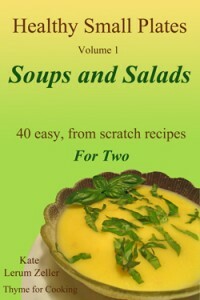 Just add chopped potatoes, carrots, zucchini, pork, and seasoning to a pocket of foil. Cook your meals on a double-burner griddle, so you have room for a few more packets for your family. Make sure you use soapy water to clean your griddle after use. You should also avoid things that could shock your griddle, such as placing a hot griddle into cold water, to ensure that it remains level. If you do not have a griddle in your kitchen, it is time you considered getting one. 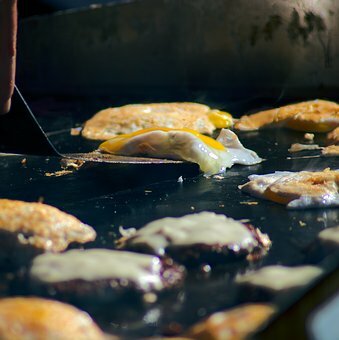 This article simplifies your search for the ideal griddle since all of them are found on this page. Take your time to read the reviews before ordering any griddle. Okay, this last photo is not a kitchen griddle – but mon mari would love an outdoor griddle for entertaining in the summer. Here is where you’ll find the more practical Kitchen Griddles to make a lovely stack of fluffy pancakes. Your pancakes remind me I must make drop scones again soon. I don’t have a griddle but I do have an old and much loved cast iron pan which gets almost daily use. Oh this makes me want pancakes ! !